Is it Possible to Bring an End to the War in Yemen? During last month’s Valdai forum – one of the most prestigious in Russia, involving respected experts from around the world – there was a discussion of how the Yemen crisis could be resolved. Sergey Lavrov, the Russian foreign minister, took part in the forum, clearly defining Russia’s position against a military solution to the conflict in Yemen, which is simply impossible. The attempts by the Arab coalition to force the Houthis, who triggered the collapse of the political balance that had existed in Yemen since 2014, to comply with Security Council Resolution 2216 and restore the status quo ante bellum have, so far, come to nothing. Yes, the victims in Yemen have been much fewer than in Syria, but the country has been laid waste and three quarters of its citizens are suffering from hunger, children do not go to school, hospitals have been bombed, and the whole country is ravaged by epidemics of cholera and other diseases. Yes, the international community is making efforts to deliver humanitarian aid to the country by all possible routes, but this is clearly insufficient and is the equivalent of drip feeding a dying patient: it prevents him from dying but cannot do anything to heal him. On March 3, after the end of the discussions in the Valdai forum, the Russian foreign minister Sergey Lavrov, reflecting on the current situation in an interview with the Ethiopian newspaper “Reporter”, pointed out that it is important to accept that it is unlikely that national reconciliation can be achieved in Yemen quickly. 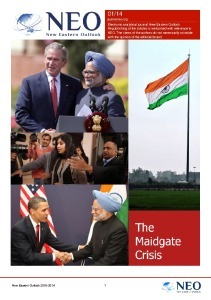 “The opposing sides now have too many grievances against each other, in many cases with some justification. That situation explains the unwillingness of the factions in Yemen to return to a constructive discussion of how to overcome their antagonism, which today is the main obstacle to solving the crisis in the country. Nevertheless that should not be a reason to wash our hands of what is happening there,” he said. 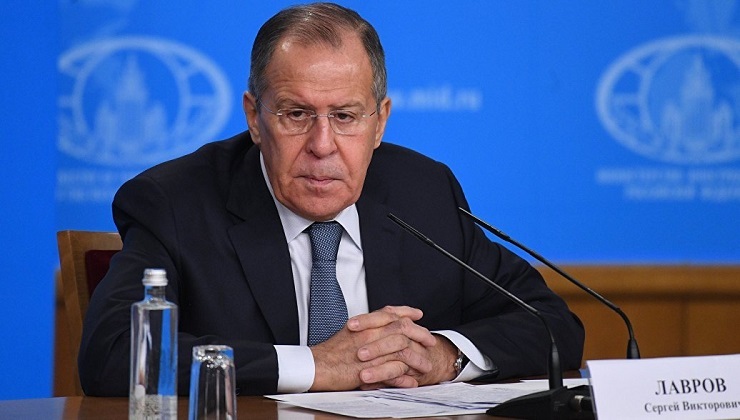 Sergei Lavrov emphasized that the international community, and in particular the UN, must continue to press the parties in Yemen to renounce violence and sit down around a negotiating table together. Accordingly, since the beginning of the critical phase of the crisis in Yemen on March 26, 2015, when the anti-Houthi coalition led by Saudi Arabia started bombing Yemen, Russian diplomats have been focusing on exactly that, and have been actively helping the UN special envoy, Ismail Ould Cheikh Ahmad to bring about a ceasefire. However, all his efforts and initiatives have been dashed because of the parties lack sufficient political will. When, at last, Ali Abdullah Saleh, the country’s ex-president and one of the main figures in Yemeni politics, decided to break with the Houthis and engage in negotiations, he was killed shortly afterwards (on December 4, 2017) by elements opposed to a political solution, and the peace process reached a dead end again. In view of the circumstances, in January 2018 Ismail Ould Cheikh Ahmad decided to announce that he did not wish to continue his contract, and in February he resigned as the special envoy of the UN Secretary-General António Guterres. It is already clear that the new special envoy is inheriting a difficult task and will not be able to manage without the support of the major world powers. It is no coincidence that the well-known New York Times columnist Thomas Friedman, discussing the upcoming visit of the Saudi Crown Prince Mohammad bin Salman to the USA in that paper on March 7, called on President Trump to appoint an assistant secretary of state for Middle Eastern affairs and an ambassador to El-Riyadh, who would be able, among other things, to help the young de-facto ruler of the USA’s main regional ally get out of the Yemeni quagmire, as soon as possible. Needless to say, that is good advice. It is true that it should not be forgotten that, in many ways, it was the Americans who drew Saudi Arabia into that conflict by passing on what was clearly exaggerated on Iran’s involvement in Yemen, and by supplying El-Riyadh with huge amounts of arms and pandering to its military instincts. What is more, American specialists have been servicing the military hardware sold to Saudi Arabia to ensure it is ready for use, and now Thomas Friedman talks about the importance of regulating the Yemeni conflict, which is stuck in a stalemate. It must be admitted that Rex Tillerson’s dismissal on 13 March, and the appointment of his replacement, the CIA director and American political hawk Mike Pompeo, will do very little to help bring about the changes Thomas Friedman is calling for. Mike Pompeo has clearly been appointed to demolish, and not build, and his priorities are more likely to be to dismantle the Iranian nuclear deal and to prevent Russia from winning a final victory in Syria than to bring about an end to the war in Yemen. As is well known, the CIA has, throughout its history, focused not on collecting information but on bloody provocations and bringing about military coups, which are absolutely not the skills required to regulate the crisis in Yemen. It is therefore highly likely that the new special envoy of the UN Secretary-General will lack the necessary support from the USA and will have to rely on his own resources, with assistance from Moscow. He will be dogged by the lack of new ideas and the dead-end situation that had emerged at the end of Ismail Ould Cheikh Ahmad’s tenure. 1. To end the fighting and create a suitable political climate for the renewal of the political process, by applying pressure on the regional parties to the conflict. A suitable model might be the peace agreement that brought an end to the 1960s civil war between Yemeni royalists and republicans, which was brokered by the Egyptian President Gamal Abdel Nasser and King Faisal of Saudi Arabia. The actual parties to the Yemeni conflict played no role in negotiating that agreement, and, as today, they did not want the war to stop. B) the formation of a government of national accord containing representatives of all political forces. 3. The formation of local, regional and international military councils to collect heavy and medium-sized weaponry from the various armed groups; the collected arms will then be kept by the national Ministry of Defence. 4. The start of talks between all the political and social groups in Yemeni society, in order to reach a consensus on the form of a future federal state, which will be made up of two regions. 5. The creation of a constitution committee which will start considering proposed drafts of a constitution. 6. The formation of a general election commission, which will make arrangements for general parliamentary elections and ensure that they are transparent, in compliance with the rules observed by democratic states. 7. An address, in coordination with regional and world powers, with a request for funding of a development plan which would enable the renewal of the country’s economy. 8. The UN Security Council should approve this road map and require it to be implemented. If these proposals are analysed it will be seen that some of them duplicate the measures that Ismail Ould Cheikh Ahmad attempted to put into effect, while others draw on lessons learned from the ceasefire that ended Yemen’s civil war in the 1960s. What conditions are required for this plan, which clearly needs to be drawn up in more depth and detail, to work? First of all, at a minimum, the USA must not try and obstruct it. Secondly, El-Riyadh would have made a political decision to cease the conflict without achieving a military victory over the Houthis, and agree to their taking part in the political life of their country. Thirdly, the political platform of national reconciliation, developed after the launch of the Gulf Cooperation Council states’ initiative to bring about peace in Yemen, and begin a national dialogue, must at least be taken into account. Any proposals for federalization included in the results of this dialogue may turn out to be productive and could prevent the break-up of the country. 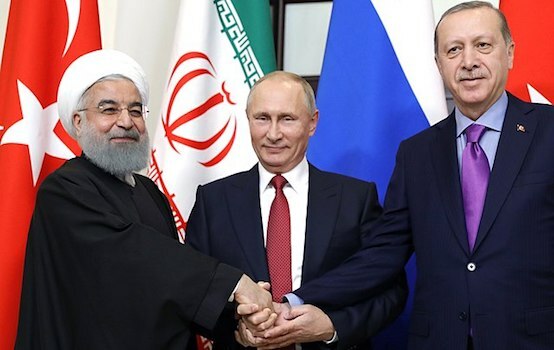 Russia is able to provide positive political support for the implementation of this plan and can exert the necessary influence on Iran to ensure that the latter, motivated by the anti-Saudi feelings that are so powerful in that country, does not sabotage the plan. Obviously, that would be a challenging path, strewn with thorns rather than roses. But the tortured country of Yemen has simply has no option other than to seek a political solution. And the sooner the parties to the conflict, including the Houthis, understand that for themselves, the greater the chances of peace for the the proud and ancient nation of Yemen.